Bree Hammel had 14 kills to power UNLV to a 3-0 volleyball victory over New Mexico State on Saturday and a 3-0 record in the UNLV Invitational at Cox Pavilion. The Rebels, who won by scores of 25-21, 25-17 and 25-21 over the Western Athletic Conference’s preseason favorite and reigning champion, are 3-0 for the sixth time in program history and the second time this century. Hammel, voted the tournament’s MVP, was joined on the all-tournament team by Alexis Patterson and Elsa Descamps. 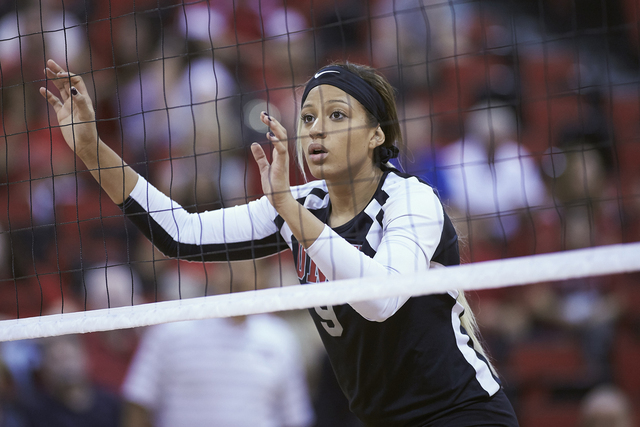 Patterson had 28 assists and seven digs against the Aggies (1-2).